Jilly Farina is fourteen. Her father is drunk on the day of the Barnstable County Fair, so she goes by herself, and that night her life is transformed. When she walks into a tent to see Millroy the Magician, his eyes lighten from brown to green and fasten upon her. He performs miracles before her spellbound eyes. He tells her that he will train her to be his assistant, and he will give her a sequined costume. But this is only the beginning. 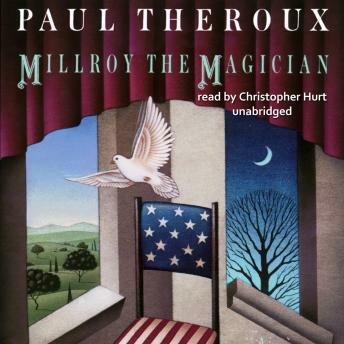 Millroy is a magician not just of mere conjuring but of true, baffling magic. He is a healer, too, a vegetarian and health fanatic with a mission to change the eating habits of the United States. In search of the perfect platform, he finds it in television as an evangelical preacher, touting hygiene and the simple pure foods mentioned in the Bible. From fairground magician to cult leader, Millroy is unstoppable.